Wills are something that all of us know we’ll have to deal with eventually, but often put off until we’re older, have dependents, or become ill. However, all adults should have a will, whether you’re just starting out in your career or planning to retire, and you should keep it updated as your situation changes. The best way to get a will written is to visit solicitors in Reading who can draw one up for you, ensuring everything relevant is included and that it’s legally binding, so you know your wishes will be carried out. Here are some of the reasons why you should sort your will out now. You may associate inheritance tax with the wealthy, but many people now die with bigger estates due to property prices, which means their loved ones can end up with a big bill. The average house price for a home in Reading is nearly £400,000, while the cut-off for inheritance tax is estates over £325,000, so it’s easy to see why so many people of average means end up paying. By using solicitors in Reading, you can find out the best way to minimise your inheritance tax, such as leaving your home to a spouse or civil partner. Family relationships can be complex, and it’s important you choose the right people to look after your children. By looking for recommended solicitors in Reading to write your will, you can ensure your children are looked after by the best people. 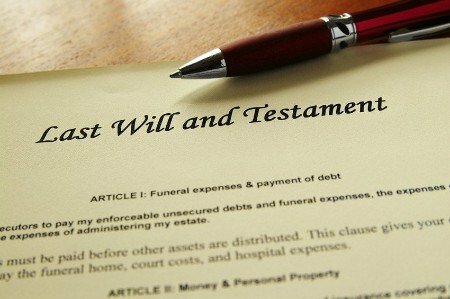 Even if you don’t have a big estate, the process of dealing with a death when a will hasn’t been left is complex. In among the stress of planning a funeral, your loved ones would need to apply to become an executor, and your estate will be subject to intestacy rules, which means you don’t get to choose where your money goes. Using lawyers in Reading means that you can appoint executors that you trust, leave money and possessions to those you care about, and even make specific requests for your funeral planning.